Want to amp up the impact of your sales contests? 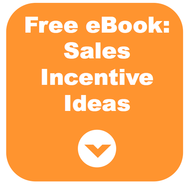 Consider the types of incentives you’re using. While you can count on the competition and recognition that come with running a carefully planned contest to produce significant sales motivation, adding on even minor tangible incentives from time to time can crank things up. And making those incentives ones that the winners can place in their workspace takes it all a bit further. Here’s why: When a team member wins a small incentive to display, they’re getting a continuous source of recognition. Co-workers will mention the prize as they pass by the desk where it resides, and the winner will catch glimpses of it during future workdays. Think about how different this is from publicly recognizing a contest winner once and leaving it at that. This one was inspired by one of LevelEleven’s awesome clients, and it’s a huge hit. Order LED lights in the color of your sales contest winner’s choice and then allow that team member to illuminate his or her desk. If there’s enough room on the desks in your space, this one’s great. Get your team member a Keurig or some other single-cup coffee maker and store some coffee refills in the office. Then that sales rep can get fresh coffee or tea on the spot, when they want it. Everyone needs to charge mobile devices. Give contests winners a fun way to do that with a charging station that fits their style. Consider offering homemade trophies inspired by team events or inside jokes. For example, we at LevelEleven went bowling recently and were each honored with personalized plastic bowling pin trophies, which now live on most of our desks. You could also simply get your contest winner an Amazon gift card with $25 or $50 for them to order desk accessories. Or, choose a few style variations (different colors, themes, etc.) of any of the items suggested and allow recipients to choose that which best fits their personality. Next time you're choosing which sales incentive to offer, make sure it can be displayed on the recipient's desk.